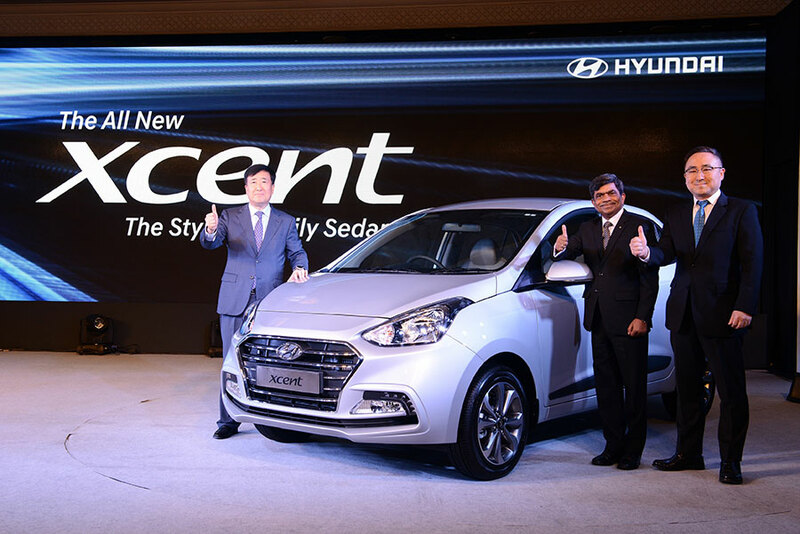 Hyundai Motor India Ltd. (HMIL), the country’s second largest car manufacturer and the largest passenger car exporter launched the All New Xcent for India and Global markets. Embraced with new stylish look, the All New Xcent boasts an attractive proposition of new design with an array of advanced Hi-Tech features for evolving young Indian customers. We are very glad to announce the global launch of the All New Xcent for Indian and Global customers. The fast changing trends and rising customer aspirations has always been the key driving force at Hyundai. Considering the evolving market dynamics and customer voice, we keep enhancing our products for customer delight. The All New Xcent symbolizes The Stylish Family Sedan for young and Modern Indian Family. 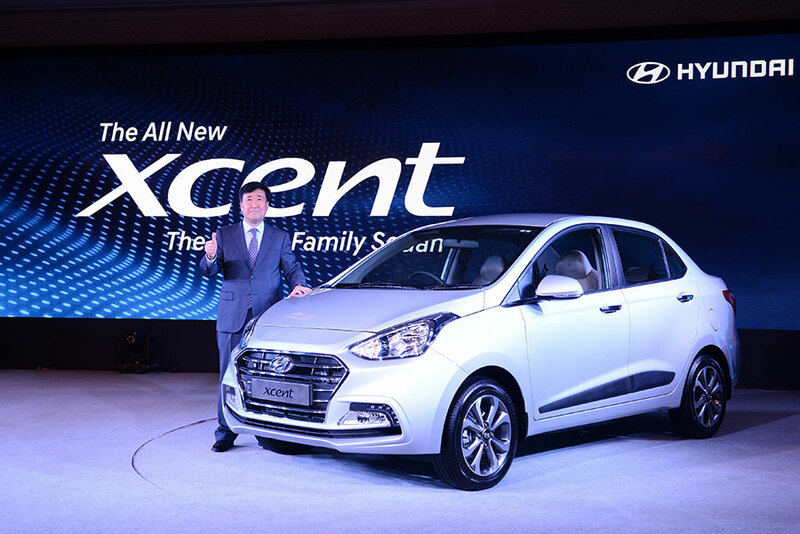 With over 2.5 Lakh cars sold in Domestic and International markets since 2014, we are confident that the All New Xcent will create a new benchmark in its segment offering best Hyundai Experience. The All New Xcent is designed on 5 Key pillars – Sporty & Evolved Styling, Superior Performance, Advanced & Hi-Tech Imagery, High on Safety & Convenience and Product Confidence. The Made in India All New Xcent boasts of Quality, Comfort, Style and Premium look. The exterior projects Progressive design while interiors echo generous flair of Space & Comfort with Premium and Hi-Tech appeal. In the front, All New Xcent features new Hyundai’s signature Cascade Design grille with horizontal chrome slats for bold and wider stance with premium appeal. The new front bumper design with LED DRLs (Daytime Running Lamps) along with Fog lamps offers futuristic styling while the swept back headlamps compliments the front with sporty styling. The rear of All New Xcent offers a completely refreshed and dynamic look. The All New Xcent comes with new premium two piece wrap around tail lamps, Dual Tone bumper along with aesthetically incorporated sleek reflectors, stylish Shark Fin Antenna, Pull type Chrome door handles and aerodynamically designed ORVM’s with turn indicators lending premium and sporty appeal to the car. The superior driving performance and dynamics makes the All New Xcent a driver’s delight. It offers choice of efficient and advanced powertrains. The proven 1.2L Kappa Dual VTVT Petrol generates 83 PS power @ 6,000 RPM and 11.6 KGM torque @ 4,000 RPM delivers improved fuel efficiency. The New 1.2L U2 Diesel engine is now bigger and more powerful and generates 75 PS power @ 4,000 RPM with 19.4 KGM of torque @ 1,750 ~ 2,250 RPM delivering improved mileage. Moreover, measures like Alternator Management System help improve fuel efficiency while the First-in Segment Wheel Air Curtains have been added to ensure minimised air turbulence around the wheel area resulting lower Cd (Coefficient of Drag), low NVH, increased fuel efficiency and stability of the car at high speed. The Modern and Ergonomically designed driver space in All New Xcent is high on comfort offering advanced technology features. The contemporary interior design integrates premium materials with high quality fit and finish. All New Xcent offers the First-in-Segment 7.0 touch screen infotainment system with smartphone connectivity -Apple CarPlay, Android Auto and Mirror Link thus guarantee seamless connectivity together with Smartphone navigation interface and dedicated Voice recognition button on steering wheel for Advanced Hi-tech appeal and safe driving experience. With Hyundai Safety comes first. All New Xcent offers advanced safety with Reinforced Body Structure and features like Dual Airbags (Standard), Anti-lock Braking System (ABS), Central Door Lock, Impact sensing Auto Door unlock, Rear Defogger, Reverse Parking Sensors and Rear Parking Camera with display on large 7.0 Touch Screen. The Fully Automatic Temperature Control along with Rear AC vents further adds to customers’ convenience. What is your take on all new 2017 Hyundai Xcent? Let us know by commenting below.